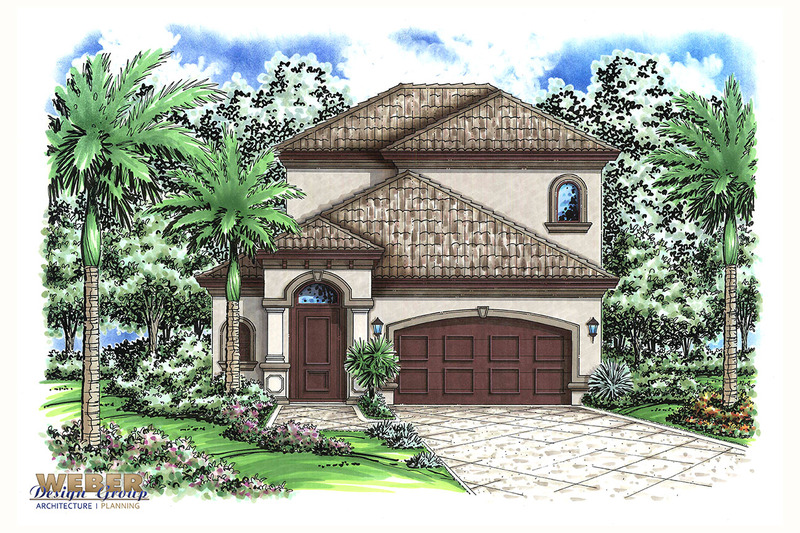 The Lake Suzy is a two-story Mediterranean style home plan of just under 1,800 square feet of living space. On the first floor, a peninsula style kitchen faces the spacious great room and dinette areas. A coffered ceiling in the great room adds charm and dimension to the space. The comfortable master suite also has coffered ceilings. It offers a walk-in closet, and a master bath with a corner garden tub, two vanities, and a corner shower. A powder room, utility room, covered lanai and two-car garage complete the first floor. Upstairs are two additional bedrooms, a full bathroom and a balcony that spans across both bedrooms for enjoying the view. 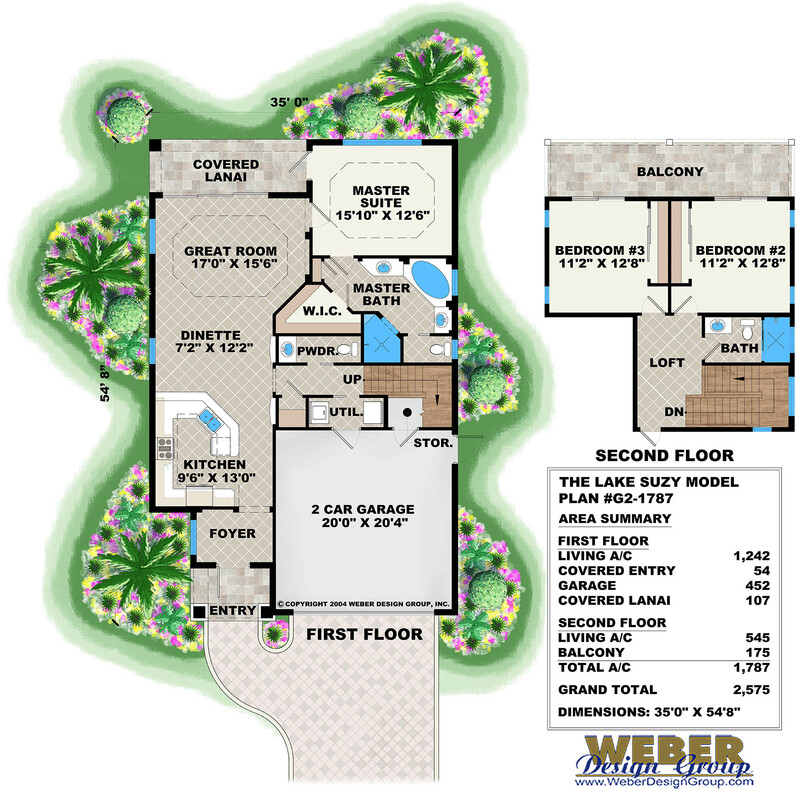 The Lake Suzy is a small house plan with big features, and with its compact footprint would work well for a narrow lot.